From cave paintings to modern day film and books, storytelling has been enjoyed by mankind for centuries. But to Ben Wheeler, the Community Development Director of DASH, storytelling just might help a neighborhood come together for more than entertainment. DASH stands for Dependable Affordable Sustainable Housing and was formed in 2002. According to DASH Executive Director Marie McNally, DASH was established “[…] to address growing concerns of inadequate, unsafe housing in LaGrange and the decline of its once thriving mill villages.” After refurbishing many houses in the area, DASH now provides support to the owners of these homes, many of which are in LaGrange’s Hillside community. Among its many services (including safe and affordable rental options, home ownership opportunities, and neighborhood leadership development) is the goal of community building. The Hillside Roving Listeners was created to do just that. I had the pleasure of being able to sit down during a couple of their training exercises and see the potential benefits this program could bring to the neighborhood. He added, “To do this, we want to understand the talents, skills, passions, and wisdom of the people who live here in Hillside. We will do this by inviting residents to share their stories with one another. We will also invite our neighbors to share their concerns and ideas for the neighborhood.” Wheeler also expressed his desire for residents to find ways to empower one another, celebrate their strengths together, and work together to overcome the challenges that the neighborhood might face. Finding the passions and skills from the community is a key factor for this program. An example of this came through in an interview with a resident, Ms. Tucker. After getting to know about her a little, Wheeler and two volunteer roving listeners discovered that Ms. Tucker has a passion for gardening and baking cakes. In this instance, the Roving Listeners may document Ms. Tucker’s skills and spread this knowledge to other community members. In turn, if any residents need gardening or baking assistance, Ms. Tucker is the woman for the job. The listeners’ process is broken down into several steps. 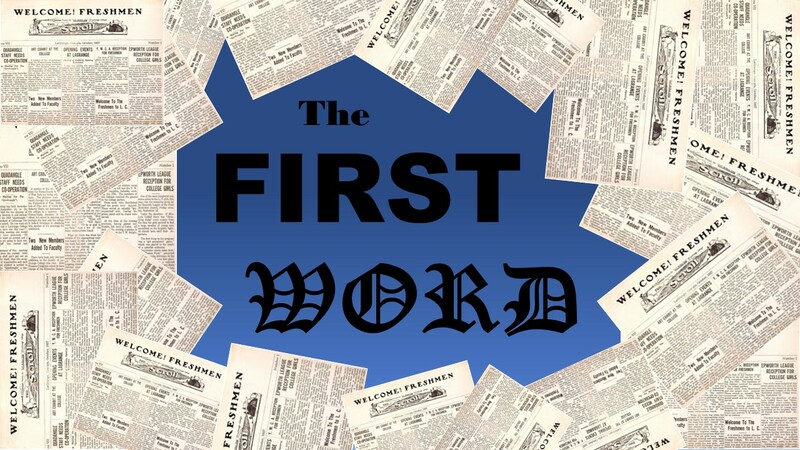 The first is recruiting other listeners who will seek connections between needs and gifts in the community. The second is recording the interviews and transcribing the information. The third is reflection, or sharing highlights from the interviews during a monthly meal of neighborhood celebration. The fourth is to act. It is up to the neighborhood to come up with solutions to the needs and desires of people within the community. In the process of creating the Hillside Roving Listeners, Wheeler met DeAmon Harges, the original Roving Listener from Indianapolis. Harges has been featured on numerous Ted Talks and is part of the staff at Broadway United Methodist Church. He has also helped establish a team for the Hillside Roving Listeners. The collected stories will be uploaded to an application called Vojo in the coming weeks to be heard by the community. Anyone is welcome to attend any of the community dinners to hear the stories in person. For more information on the Hillside Roving Listeners, contact Ben Wheeler at hillsideneighbor@gmail.com or call 706-298-0585. For additional information about DASH or additional events within the Hillside Community, visit dashlagrange.org.